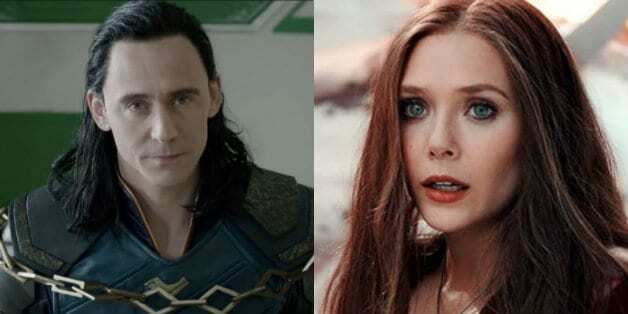 Variety reports Tom Hiddleston and Elizabeth Olsen are expected to reprise their roles as Loki and Scarlet Witch for new standalone series Disney is producing for its upcoming streaming service. In addition, the new series will also feature other popular characters from the Marvel Cinematic Universe who have yet to be featured in their own standalone films. Each series will reportedly have between six and eight episodes. Marvel Studios will produce the standalone series with Kevin Feige expected to have a high level of involvement. The service is expected to launch next fall. Marvel first announced the development of live-action series for its direct to consumer service back along with the announcement of its live-action Star Wars series, which Jon Favreau is producing. The Star Wars series reportedly has an approximate budget of $100 million for its first 10 episode season, one of the highest budgets for a series in history and according to the trade, Disney may be looking to do the same as the new Marvel series will rival the budgets of major motion picture productions. What other Marvel heroes would you like to see featured in their own standalone series? Let us know in the comments below! For now fans can catch their favorite Marvel heroes in Avengers: Infinity War. Avengers: Infinity War stars Robert Downey Jr., Chris Hemsworth, Mark Ruffalo, Chris Evans, Scarlett Johansson, Benedict Cumberbatch, Don Cheadle, Tom Holland, Chadwick Boseman, Paul Bettany, Elizabeth Olsen, Anthony Mackie, Tom Hiddleston, Sebastian Stan, Danai Gurira, Letitia Wright, Dave Bautista, Zoe Saldana, Josh Brolin, and Chris Pratt. I will definitely sign up for that service to watch a series focused on Tom Hiddleston’s Loki. I love Tom Hiddleston and I love that character. This is the best news ever! I wonder when Loki’s will be set? Will they jump around timeline-wise? Will Thor at least cameo? Please! Will any Avengers appear in Scarlet Witch’s? Doctor Strange? Wong? Can they do this for more characters? Hawkeye, maybe? I have so many more questions, that I know none of you will know the answers to. You might know the answer to this one, though: these will come out after Avengers 4, right? I mean, the streaming service doesn’t drop until then, right? This is so much better than a One-Shot (not that I don’t want those back, but I’m not greedy). Thank you Marvel Studios and Kevin Feige, thank you! I really hope Hawkeye gets one standalone series! This is incredible news that I did not expect to read! Psyched for both of these amazing talents. I got to say if I was to get a series with any other MCU characters it would have to be Hulk/Banner. I know they have issues when it comes to the movies but they said nothing about an episodic series. I’d love to see him teaming up for a 10 episode road trip with Doc Samson, Rick Jones, Clay Quartermain, and Betty. But that’s just high hopes.